Sugarcane Raw Bar Grill, a Miami destination since 2010, has opened a Vegas location at The Venetian’s Restaurant Row. The 6,376-square-foot restaurant features a raw bar, robata grill and an open traditional kitchen and is led by executive chef and partner Timon Balloo alongside newly appointed Las Vegas executive chef Ryan Nuqui. Décor is inspired by Cuban and Latin American architecture, with wrought-iron detailing, vintage lighting, inlaid wood flooring and tray ceilings trimmed in rich red hues. A menu of globally-inspired small plates includes sea urchin tostada with oceanic sweet roe, jalapeño and an al pastor jam; shellfish hot pot rice cooked in a broth with clams, cuttlefish and Alaskan king crab; West Coast snapper ceviche with aji amarillo, sweet potato and crispy maiz cancha; and bacon-wrapped dates with linguiça and manchego. A 76-seat bar and lounge area offers a vast rum display, one of the largest collections in Las Vegas. Sugarcane Raw Bar Grill, The Venetian, 3355 Las Vegas Blvd. S., Las Vegas, NV 89109, 702-414-2263, 877-883-6423. Fast-casual hot dog concept Papaya King has branched out to open its first location beyond NYC, at Harmon Square across from Hard Rock Hotel & Casino. The new Vegas spot is nearly three times larger than the three NYC outlets and serves several hot dog variants, such as the Upper East with pastrami, pickle chips and sauerkraut; tropical drinks including banana daiquiri, coconut champagne, papaya and piña colada; and fried pickles, fried Oreos, fried Twinkies, knishes, chicken sandwiches and corn dogs. Like the original 84-year-old restaurant, which began on Manhattan’s Upper East Side, this outpost sports a distinctive easy-to-spot yellow neon sign. Papaya King is open daily from 10 a.m. to 3 a.m. Papaya King, Harmon Square, 4503 Paradise Rd., Ste. 350, Las Vegas, NV 89169, 702-685-8769. Taco Bell Cantina has debuted at the Harmon Corner on the Vegas Strip across the street from CityCenter. It’s the chain’s 7,000th restaurant. Open 24 hours a day, the two-story booze-serving flagship features an open kitchen; tapas-style appetizers in addition to the regular Taco Bell menu; an outdoor patio; a retail shop selling Taco Bell merchandise and memorabilia; an occasional DJ; and a Freeze Wall with eight different flavors (margarita, cola, pina colada, lemonade, orange, baja blast, cherry and blue raspberry) that can be customized with gin, vodka, rum, tequila and whiskey. Taco Bell Cantina, Harmon Corner, 3717 S. Las Vegas Blvd., Ste. 140-A, Las Vegas, NV 89109, No phone. Sam's Town Hotel & Gambling Hall has opened its newest dining concept, the Big Mess Bar-BQ. Located in the Mystic Falls Park atrium, the patio seating offers a view of the Park and a serene environment, while the dining room has intimate booths or combinable tables. The genuine smokehouse barbecue restaurant serves meats that are dry-rubbed and smoked in-house in a massive smoker. Platters, which are served with cornbread and two sides, include Texas-style dry-rubbed smoked beef brisket, Bar-BQ-roasted chicken, Carolina pulled pork shoulder, Bar-BQ-smoked pork spare ribs and smoked and grilled sausage. Handcrafted sides range from potato salad to sweet potato and classic French fries, mac and cheese, collard greens and hushpuppies. Among the appetizers and desserts are fried green tomatoes, deviled eggs and three selections of pie: pecan, apple and sweet potato. Big Mess is open Wednesday through Sunday at 4 p.m. for dine-in and carry-out. Big Mess Bar-BQ, Sam's Town Hotel & Gambling Hall, 5111 Boulder Hwy., Las Vegas, NV 89122, 702-456-7777, 800-634-6371. Sin City Brewing Co. has once again expanded, and has opened its fourth location on the Vegas Strip at the Grand Bazaar Shops at Bally’s. The new branch has a convenient walk-up bar and is the first to offer outdoor seating. “There’s nothing better than drinking a beer outside with your friends on a sunny day,” said Rich Johnson, Sin City’s master brewer, “It’s always been a dream of mine to open an outdoor drinking destination on The Strip and we’re looking forward to sharing our craft beer at Grand Bazaar Shops.” The pub serves Sin City’s five signature beers: Amber, Light, IPA, Weisse and Stout as well as a rotating seasonal selection. Sin City Brewing Co., Bally's Las Vegas, Grand Bazaar Shops, 3635 Las Vegas Blvd. S., Las Vegas, NV 89109, 702-489-5498. Shake Shack normally has a shake of the month, but through January 1, 2017, it will feature three holiday-themed shakes. Priced at $5.79 each, the flavors are Pumpkin Pie, Christmas Cookie and Chocolate Peppermint. There are three Shake Shack locations in Las Vegas: New York-New York Hotel & Casino (3790 S. Las Vegas Blvd. ); T-Mobile Arena (3780 S. Las Vegas Blvd. ); and Downtown Summerlin (10975 Oval Park Dr.). Orleans Hotel & Casino and Gold Coast Hotel & Casino will observe landmark anniversaries in December 2016 – the former celebrating its 20th and the latter its 30th. Buffet and drink specials are being offered from December 2-24. Both resorts will offer $1 drink specials at all casino bars and two-for-one pricing at the Gold Coast’s Ports O’Call Buffet and at the Orleans’ French Market Buffet. On December 20, a cake and Champagne celebration with Boyd Gaming executive chairman and co-founder Bill Boyd will take place at 1 p.m. at the Orleans and at 3 p.m. at the Gold Coast. Orleans Hotel & Casino, 4500 W. Tropicana Ave., 702-365-7111; Gold Coast Hotel & Casino, 4000 W. Flamingo Rd., 702-367-7111. On January 1, 2017, Pub 365 at Tuscany Suites & Casino will begin offering an executive lunch menu Monday through Friday from 11 a.m. to 2 p.m. that is guaranteed to be served within 15 minutes or the meal is complimentary. Priced at $9.95, it will include pub chips and a fountain drink or iced tea with choices of coffee-rubbed brisket, a chicken pesto panino, pastrami Reuben, classic Cuban panino and trio of Angus beef sliders with french fries. Guests will have the option of upgrading to a premium non-alcoholic beverage or beer for $2 more. 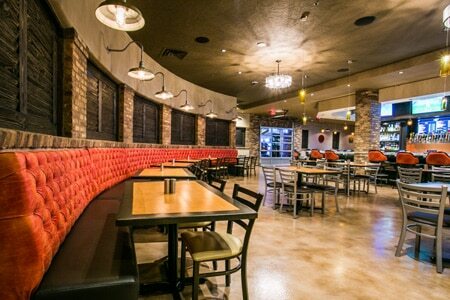 Pub 365, Tuscany Suites & Casino, 255 E. Flamingo Rd., Las Vegas, NV 89169, 702-893-8933, 877-TUSCAN 1. Although it will be closed on Thanksgiving Day, BRATALIAN by Carla Pellegrino will serve Thanksgiving themed specials with an Italian twist from Monday, November 21 to Friday, November 25. Specials will include ravioli di zucca con amarena, burro & salvia (fresh butternut squash raviolis in butter, sage and cranberries sauce); and petto di tacchino arrosto (Italian-style oven-roasted turkey breast, Italian sausage and mushrooms stuffing and fresh cranberries sauce). BRATALIAN by Carla Pellegrino, 10740 S. Eastern Ave., Ste. 155, Henderson, NV 89052, 702-454-0104. After 19 years, Harley Davidson Cafe has closed. The café was an iconic landmark and was one of the few non-resort restaurants in the heart of the Vegas Strip. It was known for its Chopper Wedding Chapel; the “World’s Heaviest Flag” weighing seven tons, made of 44,000 links of chain; an interior featuring Harley-Davidson choppers and walls covered with memorabilia; and a menu of casual American fare including burgers, sandwiches and barbecue. In October the voluminous memorabilia was auctioned off. It has not yet been announced if the concept will be relocated, nor is there any news of a possible replacement. Harley Davidson Cafe, 3725 Las Vegas Blvd. S., Las Vegas, NV 89109, no phone. Chef Charlie Palmer’s Aureole at Mandalay Bay has been open since 1999 and has distinguished itself with a stellar 3,000 bottle wine program and four-story wine tower with its Wine Angel Stewards, who gracefully ascend the tower to retrieve bottles. Now, the restaurant has begun a transformation, closing temporarily as of November 27th. It will re-open in late December with an updated dining concept. Chef Palmer has also tapped standout Las Vegas chef Johnny Church (whose resume includes previous positions at RM Seafood, Rx Boiler Room, MTO Café, Andre’s and Aureole), to lead the kitchen as executive chef; and wine and fine dining service authority Timothy Staehling, who recently managed Ironside Fish & Oyster in San Diego, to oversee restaurant operations as general manager. 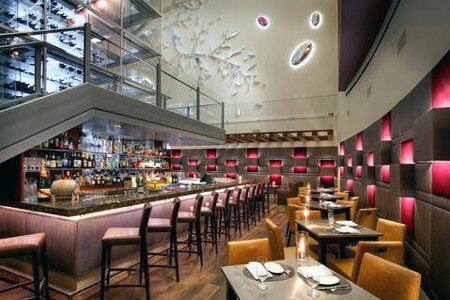 Aureole, Mandalay Bay Resort & Casino, 3950 Las Vegas Blvd. S., Las Vegas, NV 89119, 702-632-7401.